Christopher Francis Patten was born in 1944, educated in London and at Balliol College, Oxford where he read modern history. After a scholarship in America, he worked in the Cabinet Office and the Conservative Research Department where he became the director under Margaret Thatcher. He became MP for Bath in 1979 and held several ministerial posts, becoming Secretary of State for the Environment in 1989 and chairman of the Conservative Party in 1990. Lord Patten was governor of Hong Kong from 1992 to 1997, overseeing the return of the territory to China. He was chairman of the Independent Commission on Policing for Northern Ireland set up under the Good Friday Peace Agreement from 1998 to 1999. Lord Patten was appointed European Commissioner for External Relations in 1999 and held this post until November 2004. He was appointed a Companion of Honour in 1998 and became a member of the House of Lords in 2005. He became a Commandeur of the Legion d’Honneur in 2016. Lord Patten was chairman of the BBC Trust, the strategic authority for the broadcaster, from 2011 to 2014. He helped to coordinate the visit of Pope Benedict to the United Kingdom in 2010 and became chairman of the Vatican Media Advisory Committee for Pope Francis in 2014. He holds a number of honorary degrees, was chancellor of Newcastle University from 1999 until 2008, and was elected chancellor of the University of Oxford in 2003. He chaired the International Crisis Group from 2004 to 2011 and became co-chair of UK-India Round Table in 2006. 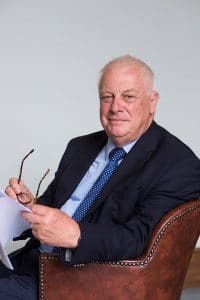 Lord Patten has written a number of books – The Tory Case (1982), East and West (1998), Not Quite The Diplomat (2005) and What Next? : Surviving the 21st Century (2008). Lord Patten married Lavender Thornton, a lawyer, in 1971. They have three daughters, Kate, Laura and Alice and eight grandchildren.